Our city has flown under the radar for many years, but we’re starting to see a change in how the world is taking notice of our city. People and companies are realizing that we are recognizing our strengths. We collaborate better than anyone and we are an affordable and attractive location for doing business, with a high quality of life filled with opportunity. At Economic Development Winnipeg, we refer to these strengths as the ‘Winnipeg Advantage’. This value proposition demonstrates the very best our city can offer, from business opportunity to culture to a convenient geographic location and world-class transportation options. There are some key factors to the Winnipeg Advantage that has more people and companies from across the globe paying attention to us. A lot of it has to do with the way we manage our economic development strategy. Winnipeggers are collaborators – we work together to accomplish bigger things than we could on our own. This means we are putting our best foot forward whenever we talk about our city, and leads to greater success because we’re all kicking in the same direction. The past year saw EDW lead one of our most impactful examples of collaboration in our organization’s history. Winnipeg’s bid to become the location for Amazon’s second corporate headquarters, submitted to Jeff Bezos last October, was a herculean effort by EDW, our provincial and civic government and leaders from private industry and other institutions – a group dubbed Team Manitoba. Our organization’s central role in coordinating the Team Manitoba working group allowed us to pool our collective resources to optimize our submission. The Team Manitoba bid for Amazon’s HQ2 had a goal outside of winning the attention of Jeff Bezos — it showcased what Winnipeg has to offer and demonstrated that Winnipeg could compete for any business opportunities, regardless of size or scope. It provided a foundation that EDW and its Team Manitoba partners can use going forward and we are better able to leverage the success stories and resources that make up the Winnipeg Advantage. Our Amazon bid was just one of several ways that EDW helped increase Winnipeg’s presence on the world stage this past year. The statement we are making at EDW is that Winnipeg is always open for business and we have a lot to offer. Regardless of the industry, company size or requirements, Winnipeg is ready to welcome new companies and be a part of their success. 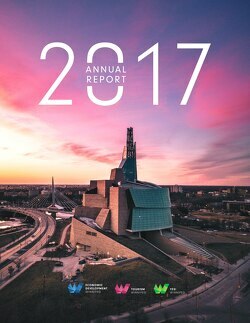 Whether it be local businesses wanting to grow or expand their operations here, or companies wanting to establish operations in our city, Winnipeg is asserting that we are ready to welcome new industry and new business, as well as any travellers who want to see the Winnipeg Advantage for themselves. We are located right in the middle of the continent with direct air, rail and road connections across North America. We have a wealth of talent at our disposal, with local leaders succeeding in thriving industries, from tech to transportation to HVAC and beyond. The average price of a home, low corporate tax rates and some of the lowest utility rates in North America makes us one of the most affordable places to do business. And of course, our cultural institutions, restaurants, parks, amenities and sports teams create an energy which attracts people looking for that distinguished city vibe. As the city’s economic development agency, EDW knows how important it is for the private sector to take on a leadership role in promoting Winnipeg and paving the way for future opportunities. Our organization takes our cues from the private sector, which guides our actions and strategic planning. We are focused on helping attract jobs, talent, and capital investment to Winnipeg. Our annual report (click on the above image to view), outlines our greatest successes from 2017, from multi-day festivals and events, such as the Canada Summer Games, attracting thousands of tourists to homegrown business success stories like Little Brown Jug. The work our organization does includes being a hub for the best market intelligence that we can collect, curate and share, which empowers decision makers to make the most informed choices. EDW’s credibility and influence allows us to help decision-makers and enables us to compete against other jurisdictions, while acting as a central force to make sure we’re using our ability to collaborate to its utmost advantage. 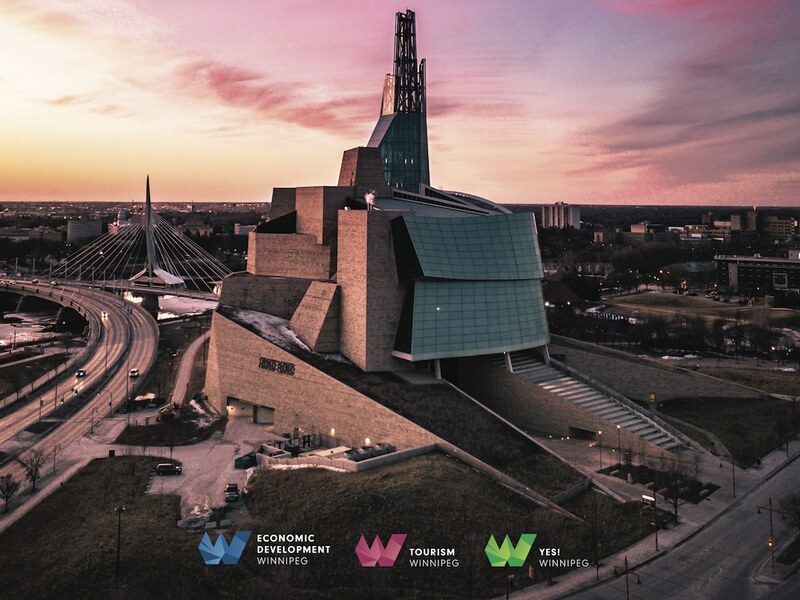 EDW is incredibly proud of the work we do and of the ‘Winnipeg Advantage.’ Our team, including our board of directors, continues to promote a Team Manitoba focus, turning the world’s attention toward our city. We invite you to be a part of our work, as we continue to share the secret across the globe: Winnipeg is building towards something incredible.